With the introduction of the Citan in 2012, Mercedes-Benz Vans – along with the Vito and Sprinter – were finally able to compete in every major panel van sector, meaning whatever your requirements you can now buy a Mercedes-Benz van to suit. Mercedes-Benz utilised their long-standing partnership with Renault in developing the Citan, which is built alongside the Kangoo in the same factory in northern France. Be aware though that the Citan is so much more than just a badge-engineered variant of the Renault Kangoo because if there's one word that sums up the Mercedes-Benz approach to vehicle development, it has to be 'thoroughness'. It is a finely honed and very considered vehicle, developed with a range of specific tasks and customers in mind. It's a hugely significant vehicle for Mercedes-Bens Vans as small vans make up around 43 per cent of the European light commercial vehicle market and without such a product in their commercial portfolio, the company's growth aspirations have always been curtailed. The Citan is available in three body lengths; compact, long and extra-long. A combi version, officially known as the Citan Crew Van provides up to five seats and a flexible load space, using a 60:40 split-folding rear seat. There's also a fully glazed five-seat MPV-type version called the Citan Tourer. In contrast, Renault no longer sells a passenger version of the Kangoo. The Citan has a number of viable panel van rivals, but none share the premium appeal of the Mercedes-Benz badge. Alongside its in-house Renault Kangoo rival, there's the Citroen Berlingo and Peugeot Partner. A little further up market is the Volkswagen Caddy, while the Fiat Doblo and Ford Transit Connect also offer appeal, along with the Nissan NV200. 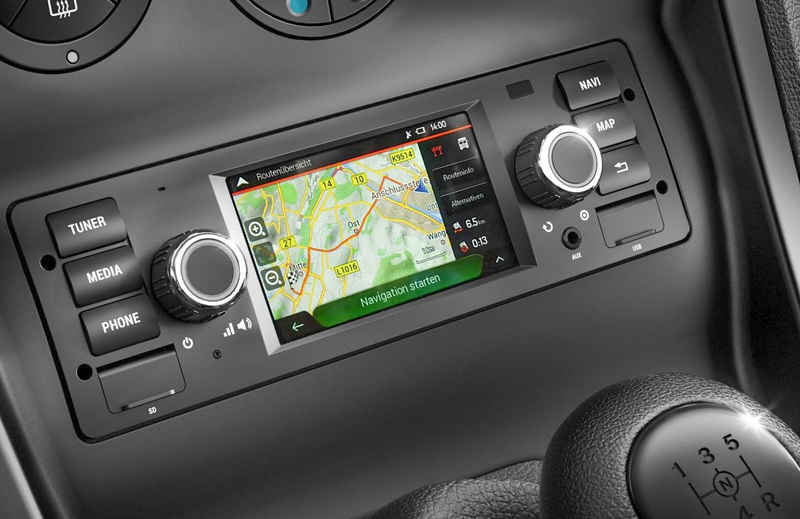 The interior is based on the Kangoo, but the dashboard is different, even if the basic layout with dash-mounted gear change is similar. Mercedes-Benz Vans went so far as redesigning the column stalk layout to include its trademark single stalk operating everything from indicators to wipers which was perhaps a little unnecessary. On the plus side, the Citan is of course more refined than the Kangoo on which it is based, suggesting that Mercedes-Benz Vans spent some time in dealing with noise insulation – with applaudable success. The Citan also feels more taut when underway and exhibits less of the blancmange-like suspension than that experienced with the Kangoo. Overall, Mercedes-Benz Vans has done a remarkable job considering the donor material available. The Mercedes-Benz Citan continues to be available with four engines: three diesels and one petrol unit. Each of the turbo-diesels is a variant on the same basic four-cylinder 1.5-litre Renault power plant, while the petrol engine is a four-pot 1.2-litre turbo. That they are all Renault engines – rather than true Mercedes-Benz power plants – isn't necessarily a bad thing. The diesel has been in production for a number of years now (my own Renault Kadjar has it), and is a smooth, reliable unit with adequate poke, depending on the power output choice. It is available in three states of tune, starting with the 108CDi (75hp/180Nm). Its lower output will prove more than adequate for lighter, everyday loads and is of course the cheaper of the diesels. The 109CDi (90hp/200Nm) is the next of the diesels, followed by the 111CDi (110hp/240Nm) which was added to the range in late 2013. Its power and torque are usefully spread across the middle of the engine's rev range. This extra pulling power makes it easier to keep pace with traffic when carrying heavier loads. Fuel economy for the diesels hovers around the 60mpg mark, with emissions ranging from 112 to 124g/km CO2. The sole petrol engine also arrived in late 2013 and is simply badged 'Citan 112'). It produces 114hp and 190Nm of torque, which is not at all bad considering its size. It's also quieter, smoother and more driveable than its diesel siblings. Despite the current ill-informed attack on diesels by the government, they still dominate overall Citan sales, but if you plan to use the van infrequently or in the city for most journeys then the petrol version undoubtedly makes the better argument. The two lesser-powered diesels are available with a five-speed manual gearbox, while the 111CDi and the petrol engine may be paired only with the more efficient six-speed manual 'box. and is the only version of the Citan available with an automatic gearbox. Introduced in 2016, this six-speed unit works very well, but does impact on fuel economy. Payload for the 111CDi Long varies according to engine choice and ranges from 585kg to 745kg, with a cargo volume of 3.1m3 and maximum load length of 1,753mm. In April, 2013, the Mercedes-Benz Citan did not perform as well as hoped in initial Euro NCAP crash testing, achieving a three-star rating out of a possible five. Issues with the side curtain airbag and a noticeable gap between the B-pillar and sliding door after impact were cited as reasons for the score. Mercedes-Benz Vans described the results as 'not satisfactory' and worked quickly with Renault to establish design solutions to improve crash performance. Just seven month later in November 2013, the Citan Kombi was reassessed and improved its rating to a more marketable four stars. As ever with Mercedes-Benz safety there are plenty of electronic safety systems. Standard across the range are hill-start assist and electronic stability control. They work alongside a battery of electronic assistance systems designed to keep the Citan stable and heading in the desired direction. There are also standard daytime running lights and a driver's airbag. Finally, you could go for the optional Safety Pack which includes driver and passenger thorax airbags, a passenger airbag and fog lamps. As mentioned, the Citan is much more that a rebadged Renault Kangoo and that's immediately evident once you get behind the wheel. It's more refined on the move with a better ride and little in the way of road noise. So while it may be a small van it's very much at home on the motorway. In town, the Citan is really easy to manoeuvre thanks to electric power steering and a tight turning circle across all three body lengths. Forward visibility is good thanks to the clever arched design of the front pillars which really help at junctions. Get the Citan onto an open road and the steering weights up a bit more giving you plenty of confidence thanks to its responsiveness. It's certainly one of the best handling small vans around helped by the fact Mercedes-Benz Vans has reworked the suspension and dampers. As a result there's good grip and the body is well controlled in corners with little lean. The Citan also comes with an Adaptive ESP system as standard. The electronic stability program takes the vehicle's load into account if it needs to cut in and works alongside the electronic brake force distribution. The Citan certainly feels robust and solid, like a Mercedes-Benz van should. Servicing intervals are long too, the diesel engine can go 25,000 miles between services while the cam belt needs replacing only every 125,000 miles. Mercedes-Benz Vans also offers 30 years of breakdown cover. I know…30 years! As long as you get your van serviced at a Mercedes-Benz dealer, you'll be covered for breakdowns via Mercedes-Benz own MobiloVan service. No, it's not a third party scheme, so you won't get an AA or an RAC mobile repair van turning up. Instead, you get Mercedes-Benz's very own roadside assistance service who are able to fix around 90 per cent of problems by the side of the road. It even covers things such as misfuelling. The Citan is by no means the cheapest small van around - in fact it's one of the most expensive. But, it does feel a cut above the competition in terms of quality and refinement and if you spend all day behind the wheel, you'll appreciate the difference. As a van for an owner-driver, the Citan is rewarding – as much for its surprisingly spritely dynamics as its competitive fuel economy and CO2 emissions. Many fleet operators prefer to deal with just one commercial vehicle supplier and a lack of a small van has negated the three-pointed star from many shortlists. With decent practicality, clean styling, genuine flexibility and low running costs, it's anything but a half-hearted run at the market. ➤ Check out our special offers on the current Mercedes-Benz Citan Panel Van here, then call our award-winning Customer Service Team on 0800 043 2050. Words and images by Wayne Gorrett, Road Test Editor. Time to Clean up Your Act!